Thomas (6) Addis Emmet Jr.
Thomas (6) Addis Emmet Jr., the third son of Jane (Patten) and Thomas (1) Addis Emmet (TAE), was born in Dublin on the 29th of May, 1797. He was less than a year old when his father went to prison and was just shy of turning 8 when he next saw his parents in New York, having left Dublin in March of 1805 with his two brothers. During the time he lived in Ireland, Tom (6) was raised by his grandparents, Betty (Mason) and Dr. Robert Emmet in their country house "Casino" just outside Dublin. Nine months after her husband's death, not knowing that her youngest son, Robert, was in Kilmainham jail and only days away from execution, Betty (Mason) Emmet died on September 9th, 1803. The care of the three little Emmet boys fell to their aunt, Mary Anne Holmes and cousin, Kitty Emmet. But little more than a year after her mother and her brother had died, Mary Anne came down with consumption, dying in early March of 1805. It was her husband, the lawyer, Robert Holmes who arranged for the children to leave for New York a few weeks later under the care of a young man named Richard Thompson. With his older brother John (5), Tom was sent to a school in Flushing, NY started by Thompson. He then went on to Columbia College, studied law under a practicing lawyer, was admitted to the bar, and spent the rest of his life working in the law. At the age of 25, he married Anna Riker Tom. Anna was the daughter of Jane Margaret Riker and John Tom. Before his untimely death at the age of 32, Tom had his own firm, "Hoyt & Tom" - well known East India merchants. Three years after Tom's death, his widow, Jane (Riker) Tom, married one of TAE's closest friends, Dr. William James MacNeven. Anna was then five years old, so she was basically raised by MacNeven and her mother. The family lived in close proximity to the Emmets, and saw a great deal of them. She married Thomas Jr when she was 17, and together they had ten children, not one of whom lived to be an adult. 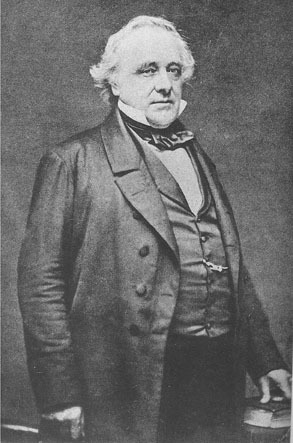 T. A. Emmet Jr., called Tom within the family, worked as a lawyer in partnership with a friend named Dudley Selden before he was made a Master in Chancery in New York. In 1824, not long after their marriage, Tom and Anna bought a country place they named "Mount Vernon," located on Third Avenue between what is now 60th and 61st Streets. The land covered about the equivalent of 12 city blocks and the Emmets had huge gardens and greenhouses. He corresponded often with this brother John (5) in Virginia, sending on specimens and cuttings. The "Mount Vernon" vegetables and fruits often won prizes at local fairs. The Emmets eventually sold "Mount Vernon" when the City's northward growth was clearly inevitable; they bought a place in Astoria on the water. In letters and newspaper articles, Tom is reported to have had a kind and charitable nature - perhaps a bit naive in "overly trusting supplicants" who took advantage of him. He was said to be a "modest Christian who believed more in practice than profession." He had many friends, and was well respected. "His manners, coming from the goodness of his heart made him a favorite with all classes and he was ever wont to be as courteous to the day laborer as to the millionaire." Obituaries describe him as quiet and unassuming, warmly attached to his family. The loss of his children was too much for the father to bare. His heart gave out at their house in Astoria on August 12th, 1863. His wife, Anna lived to an old age, dying in June of 1886 at the age of 80. They are both buried in the NYC Marble Cemetery in Vault #148, which Tom Emmet had purchased soon after its opening.